If you're looking for reliable and effective services for pest control Yuba City, you should explore the advantages of choosing Joel's Pest Control for your needs. There's nothing more stressful and unpleasant than dealing with an infestation issue in your home. Ideally, you should work with someone who can handle a variety of different pests in one service. At Joel's Pest Control, we're here to help. There's no pest issue we can't find a solution for. We utilize the most recent technologies to ensure that your pest problems are resolved quickly and efficiently. We'll also work with you well into the future to ensure that the unpleasant infestation you're dealing with won't be coming back. It's important to work with an exterminator who can handle whatever comes your way whether you're dealing with bed bugs, termites, rodents, or any other type of pest. It's also important to work with a company that has experience in both commercial and residential settings. A pest problem can drastically detract from your quality of life in your home or business facility. At Joel's, we don't want anyone to have to deal with pests any longer. We're dedicated to serving our clients and put them first to make sure they're comfortable in their properties. The sooner you get in touch with us about our services, the sooner you'll solve your pest issue. Feel free to call us to discuss the problem you're experiencing and to learn about what solutions we have available. Whatever pest issue you're dealing with, you can rest assured that we've seen it before. You can contact us via telephone or email to ask us any questions on the solutions we have available. You can also explore our website to learn more about what we do. In any case, we'll immediately come out to your property once you get in touch with us so that we can explore what's going on and perform an inspection. In a lot of cases, clients contact us and they're not entirely sure what type of pest they're dealing with at their property. Fortunately, we offer general pest control Yuba City and can come out and determine exactly what pest you're dealing with if you're not sure. Whether you need insect control or rodent control, we have the expertise to determine exactly what's going on in your building. As experts in the field, we're familiar with what the symptoms of infestations caused by different pests are. We also know that identifying the exact pest is important to exterminating it. Once you get in touch with us, you won't have to wait long before your pest is identified and under control. Termites can do a lot of damage in a home, so termite infestations need to be taken care of as soon as possible. It's common knowledge that termites eat wood, and many construction components in a typical building are made from wood. In the case of a subterranean termite infestation, substances known as termiticides are used to treat soil and create a barrier that termites can no longer penetrate. Also, moisture control is important when it comes to dealing with termites. Termites are attracting to moist wood and soil, so better controlling moisture through proper drainage can prevent future termite infestations. We'll come out to perform a termite inspection Yuba City right away to address the issue. It's just about impossible to enjoy a sound sleep at night if you're dealing with a bed bug infestation. A bed bug exterminator is important to figure out how it's best for your situation to get rid of bed bugs quickly. Bed bug infestations can be pesky and persistent, but they're no match for the expertise we offer. Unfortunately, bed bugs can hide away not only in the beds of a home, but also in any other nook or cranny. You need to have a whole home extermination performed if you're dealing with bed bugs. At Joel's Pest Control, we understand what all the major concerns are in completely getting rid of a bed bug infestation so that it doesn't quickly come back to haunt you down the road. You need to feel comfortable and safe in your home. Yet this is next to impossible if pests have invaded your residence. Fortunately, at Joel's Pest Control we offer the best service you're going to get in the Yuba City area. We understand how unpleasant it is to deal with a residential pest issue. For this reason, we don't waste any time about getting out to your home and performing a thorough inspection so that we know right away what needs to be done to leave you feeling safe and sound at home once again. Not only will we resolve your pest infestation for you, but we'll also consult with you on ways that you can avoid a future recurrence of the situation. Unfortunately, a lot of homeowners develop habits that lead to pest problems or make pest problems more likely. We'll let you know what habits you need to change so that the chances you'll have pests again will be very low. Pest infestations are huge problems for businesses. We understand that you can't continue to do business as usual in your commercial facilities if there are pests causing problems. Customers and other entities you deal with are not going to want to work with your company if you have a pest problem. You need to make dealing with pests a priority so that you can get back to your business focus and reestablish the productivity of your facilities. A pest issue at a commercial facility is an emergency. Whether it's an office building, restaurant, warehouse, you name it, we are dedicated to providing solutions that work for your business. We'll get out to your commercial property quickly so that your business doesn't have to suffer. I want to give a big Thank You to Joel today for coming to my rescue. I Had a onset bug problem and when I called he answered and went out of his way while on vacation with his lovely family to make sure my family was taken care of. Jordan who was so kind and professional came out and got straight to work. When I returned home the problem was solved. Great Teamwork. I also want to mention that I was not a current customer who still received prompt and professional service today. 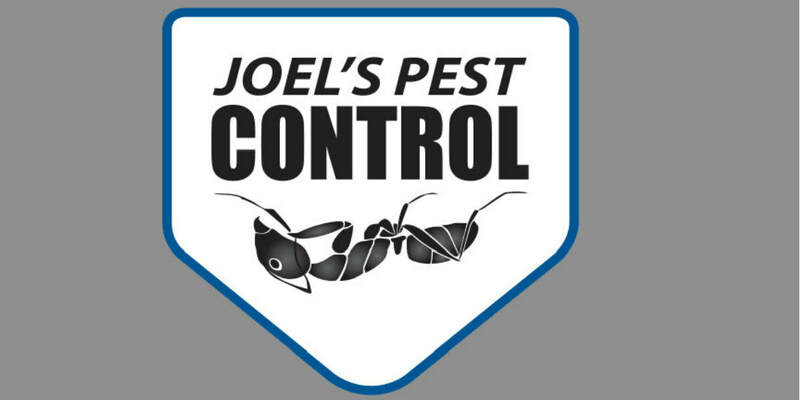 I signed up today for Team Joel Pest Control. Thank You Again for putting my mind and family at piece today. We moved from a house to an apt and it was a complete mess. After getting bit on my arm a few times in my sleep, I called Joel's Pest Control frantically & immediately the next day and explained our situation of our most recent move and Joel came out at no charge to inspect my apt THOROUGHLY to make sure it wasn't what I thought it was. He was at our new place for nearly 2 hrs, took his time and didn't charge us a dime. Because of his generosity, I hired him on the spot as our new pest control guy. He then came out a week later and sprayed every nook and cranny he could and I haven't seen so much as a ant since. I am very pleased with his knowledge, his service and his professionalism. Thanks so much for helping me take down the black widows!! If you're looking for a pest control person, I recommend Joel! He was able to make it out to my house the same day I called--now I don't have to be freaking out over these spiders! Yay! Once you contact us and let us know what you're dealing with, you'll be surprised at what a simple matter it is to exterminate your pests. However, we can't get started until you get in touch with us. When you contact us regarding a pest issue, we're going to ask you a few questions. In a lot of cases, we'll figure out the pest you're dealing with and the exterminations procedures that are necessary through just one phone call. You can contact us in a variety of ways to get started. Probably the easiest way to get to work with us and to take advantage of expert consultation on your issue is to call us at (530) 435-7897. However, it's also possible to contact us by sending the email form to us that you'll find on our website. Don't delay if you have pests at any of your properties. The longer you wait, the worse the problem is likely to become. Call us up and find out how we can handle all your extermination needs conveniently and quickly. Refer a customer and receive 50% off your next recurring service!